"In a few hours it will have gone through the whole congregation (town) that you have come to change things, and your life will be miserable. I don't have to spell out for you what this might have to do with the teachings of Jesus. God knows you know what trouble he got into." Rev. 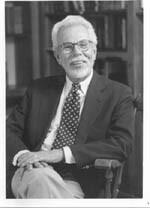 Dr. John B. Wolf, Minister Emeritus, All Souls Unitarian Church, Tulsa Oklahoma in a sermon on 09/12/10. Parenthesis is mine.